Please Note: Please read all the "Delivery Information & Conditions" in the tab below before ordering. 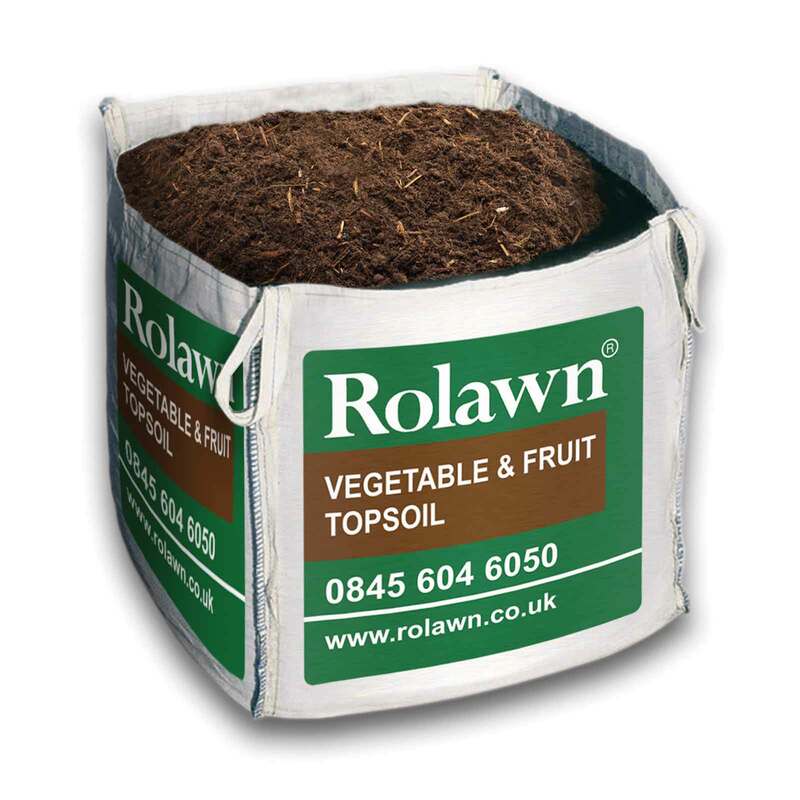 Rolawn Topsoil, Blended Loam and Soil Improver are high quality peat-free soil mixes which give your home grown vegetable plants the best possible start, ideal for your raised beds and to give a welcome boost to tired soil in beds and borders. 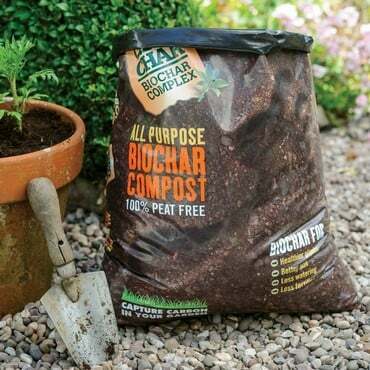 We've teamed up with Rolawn, the country's leading supplier of topsoil, to bring you high quality peat-free soil mixes to cover not just your raised bed requirements but all your general gardening needs. 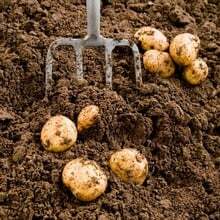 Vegetable and Fruit Topsoil - fertile, organic rich, friable topsoil ideal for growing vegetables & fruit. Blended Loam - high quality, fertile, organic rich multi-purpose topsoil. 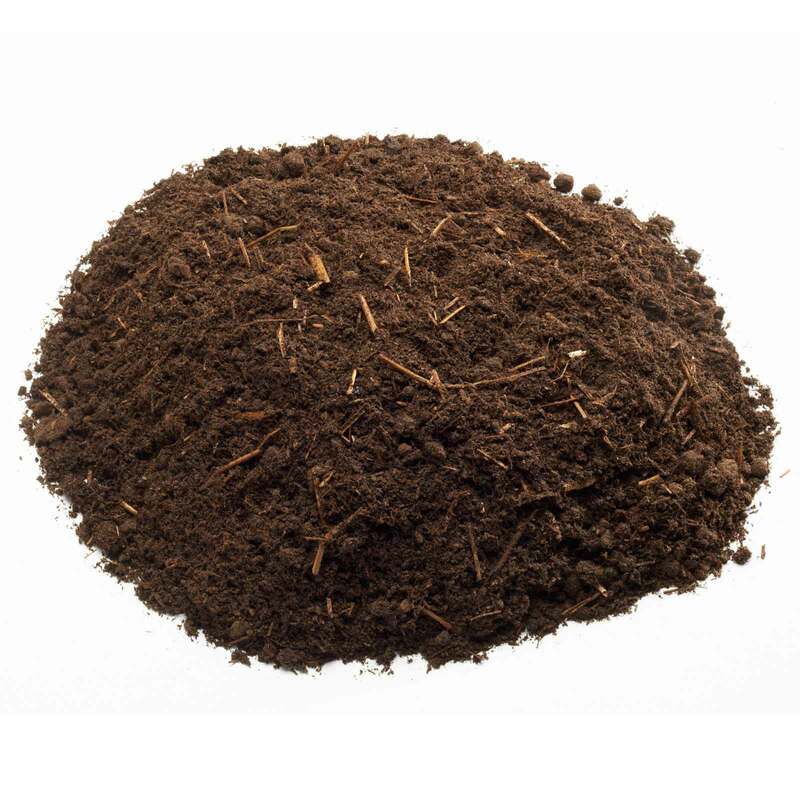 Soil Improver - natural, peat free soil conditioner/improver, highly fertile and improves soil structure. All are supplied in 1000 litre tote bags which, in the case of the loam and topsoil, contain up to 50% more product than 1 tonne of ordinary topsoil. All prices include delivery (please note we deliver to mainland UK only). 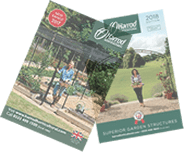 We arrange delivery - directly from Rolawn - to your address, so when ordering, please provide a daytime telephone number on which you can be contacted to arrange delivery - otherwise the despatch and delivery of your Rolawn order will be delayed. · As the Rolawn soil is delivered in 1000 litre bags - which are both bulky in size and heavy - it is important to ensure you have suitable vehicular access before ordering to avoid disappointment and extra or failed delivery charges. 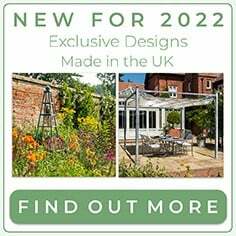 Please take a moment to read through Rolawn's detailed Delivery Requirements Checklist and view their delivery terms and conditions below - failure to do so could result in extra delivery charges. AM / PM / Saturday AM Delivery Options are available but will incur additional delivery charges - currently these orders cannot be placed online - please contact our Customer Services Team on 0333 400 6400 (local rate) to arrange. Cannot fault arrangement and execution of delivery, very easy and went without a hitch. We ordered 3 bags of Vegetable and Fruit Topsoil They each had differing types and amounts of weeds in them and one bag was rather compacted which made it difficult to empty. This particular bag looked as though it had been standing around somewhere longer than the other two. Obviously cannot comment on performance yet but having made the investment we are hoping it will deliver a good crop of vegetables! Easy to order, can specify delivery day. Friendly, helpful delivery man. Top soil is excellent quality, the veg and fruit topsoil had a good texture, and looks to be quite free draining compared to our normal clay soil. 1. Where can Rolawn deliver to? 2. Does the price include delivery? 3. When will orders be delivered? 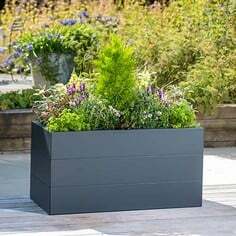 If you order also includes raised beds we will deliver these first, Rolawn will then contact you to arrange a suitable delivery date. 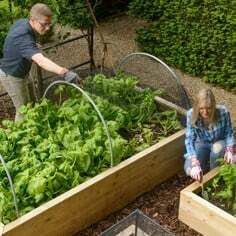 If your order does not include raised beds Rolawn will still contact you a few days after you have placed your order with us in order to arrange a suitable delivery date. 4. What does kerbside delivery mean? Kerbside delivery means that the delivery will be placed as close to the property as deemed safe by the driver. The delivery driver will have a pallet truck on his vehicle to unload your order. Unfortunately pallet trucks can only operate on tarmac, concrete and paved areas, which need to be level and clear of obstructions, they are not able to be operated on gravel drives. 5. Can the bags be delivered over a hedge/fence? 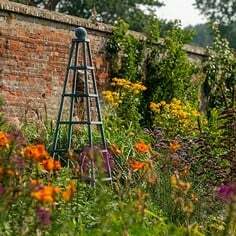 The turf and bulk bags of soil will usually be off-loaded using a hydraulic tail-lift and pallet truck, and therefore cannot be lifted over a hedge or fence. 6. Do customers have to be at home when the delivery is made? 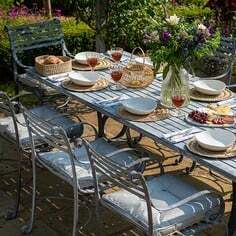 It is preferable that our customers are at home to accept the delivery when it is made. Therefore it is important that they ensure they are satisfied with the agreed delivery date. Safe access will need to be provided to the point of unloading. 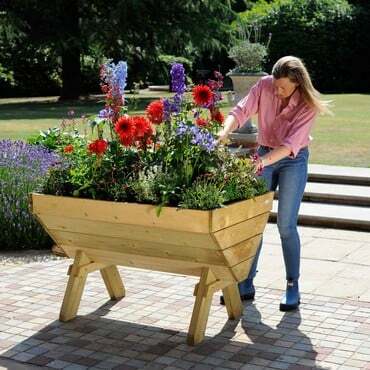 Rolawn are able to deliver if customers are not present, but in these circumstances, they accept no liability for any deterioration in or theft of any of the items delivered. Neither can they accept responsibility for the consequences of the positioning of the pallets or bulk bags by the delivery driver. 7. What type of off-loading does the vehicle have? The pallets are unloaded using a hydraulic platform or tail lift, which lowers the pallet to ground level. The driver then uses a small manual pallet truck to pull the pallet to the nearest hard-standing flat surface to customer’s property. 8. How big are the bags, and are they returnable? The bags are approximately 1 cubic metre. Products within the bags may move in transit and compact during handling. They measure 110cm x 110cm. All bulk bags are ‘non-returnable’. We would greatly appreciate you disposing of these bags responsibly. 9. Occasionally there maybe weeds in the soil. Can you explain why? Rolawn topsoil is not sterilised, therefore weed seed may be present. 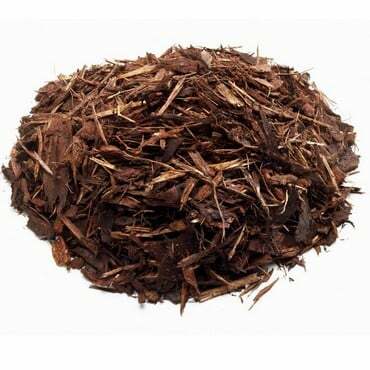 Any weed growth weeds which can be seen are only annual weeds, and once removed, should not return. 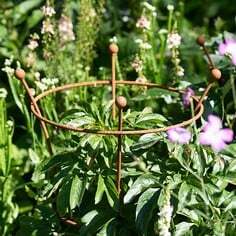 They are not pernicious weeds, and are only developing due to warm and wet weather conditions which are ideal for most plants to grow in. 10. 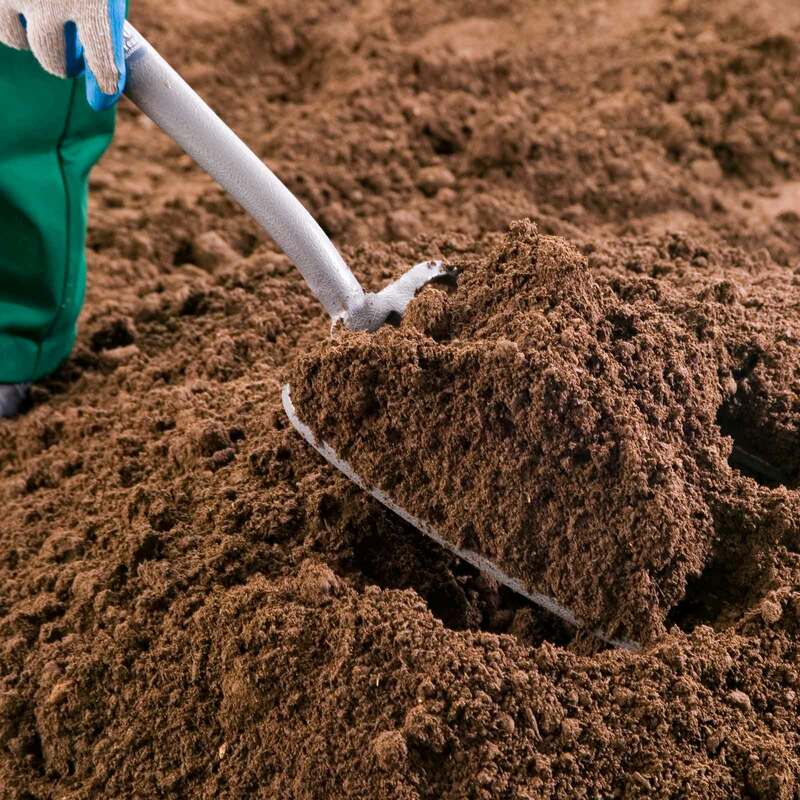 What type of soil is recommended for which purpose? 11. What vehicles do Rolawn use to deliver? The order will be delivered on an 18 ton vehicle, slightly bigger than a large dustbin lorry. 12. Do you need to add anything to the Vegetable & Fruit Topsoil when planting? There is no need to add any nutrients in the first year, except for maybe the addition of Nitrogen for certain Fruit & Vegetables. - Delivery is available to UK mainland addresses only. - Deliveries will be made between 7am and 6pm, Monday to Friday (excluding Bank Holidays). - Rolawn bulk bags and pallets are 'non-returnable'. - If delivery questions are not answered correctly and delivery is attempted but fails, extra delivery charges or a failed delivery charge will be incurred. - It is preferable that the customer is available at the delivery address to accept the delivery. Rolawn is able to deliver if the customer is not present, but in these circumstances we can accept no liability for any deterioration in or theft of any of the items delivered. Neither can we accept responsibility for the consequences of the positioning of the pallets or bulk bags by the delivery driver. - Customer must also provide safe access to the point of unloading. 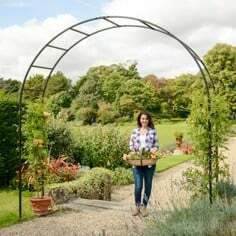 Orders are despatched directly from Rolawn. You will be contacted directly by Rolawn to arrange your delivery. Rolawn will only be able to deliver if the following questions are answered Yes; otherwise deliveries will not be successful. 1. On receipt of delivery, someone will need to sign for the order. Can you please confirm there will be somebody at your property to do this? 2. The order will be delivered in an 18 ton vehicle generally 7.9 metres (26') long, 2.5 meters (8' 2") wide, 3.6 metres (12') high or approximately the same size as a dustbin lorry. Can you please confirm there is access for the delivery vehicle to reach your property? 3. Can you please confirm there are no overhanging branches, low bridges or weight restrictions that would cause difficulties for the driver to deliver to your property? 4. The soil is off-loaded on pallets using a hydraulic platform or tail lift which lowers the pallet to ground level. 3 Metres will need to be allowed at the rear of the delivery vehicle for operation of the tail lift. The driver then uses a small manual pallet truck to pull the pallet as close to the property as is deemed safe by the driver. The manual pallet truck cannot operate on gravel, earth, grass or any other type of non-solid surface. Have you a tarmac, concrete or paved area, which is clear of obstructions where pallet truck can operate and place the bulk bags? 5. Is there enough room for the bags to stand until emptied – each one measures 110cm x 110cm? 6. Can you please confirm you are able to provide safe access to the point of unloading? 3. Can you please confirm you are able to provide safe access to the point of unloading? 4. The soil is off-loaded on pallets using a vehicle mounted hydraulic crane which lowers the pallet to ground level. Rolawn undertake to place the goods as close to the position required within the working reach of the crane as is deemed safe by the driver. The vehicle mounted hydraulic cranes cannot operate in close proximity to overhead power cables, telephone cables, tree branches and other overhead obstructions. Also the cranes cannot be used to lift pallets over parked vehicles. Can you please confirm there will be access for the crane to operate and unload the bulk bags? Please be advised that turf must be rolled out immediately in Spring/Summer and within 24 hours of delivery in the Autumn/Winter. Please note turf can be delivered Tuesday to Friday. 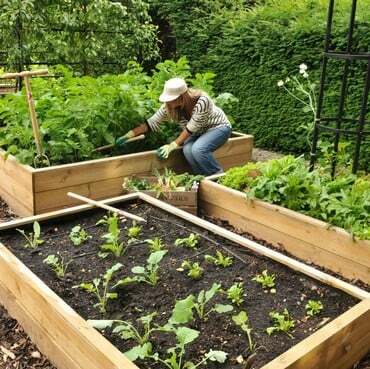 Enter the dimensions of the area and depth required and click "Generate Volume" to calculate how much soil and the number of bags you need.